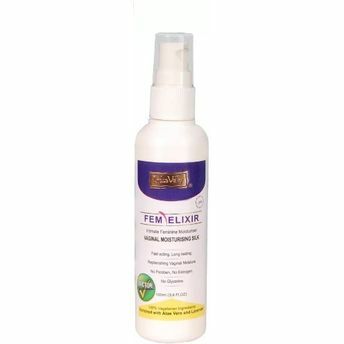 The Fem Elixir Intimate Moisturising Lubricant is a light, non-greasy lotion, specially formulated for women's body for long-lasting relief from uncomfortable vaginal dryness. Can be used to instantly relieve uncomfortable dryness and also can be used on a daily basis to help & prevent vaginal dryness. It is fast acting & long lasting.